Last season, Washington Redskins' tackle Trent Williams was accused of directing use of the N-word toward a referee during a nationally televised game. His action is just one of the many instances that the term tends to be thrown around freely in the face of self-respecting black/African-American sports fans and America on the whole. In attempts to combat this blatant and far-reaching disrespect, in March 2014, the NFL Competition Committee will convene to consider instituting an automatic 15-yard penalty for on-field use of the N-word, with a second infraction resulting in ejection from the game. This ambitious, respected, and well-intended effort will be led by Mr. John Wooten, Chairman of the Fritz Pollard Alliance; the alliance monitors and promotes diversity in the NFL, and advocates for completely eliminating use of the word in the league. The naysayers, proponents of the n-word, "puppets", and elites that work day and night to maintain the systemic are going to have a field day with this one. Even in light of this possible heckling, it's refreshing to see a black organization initiating this pursuit and actively working to restore ethical, moral and civil principles and values in the collective society. Such demanding of self-respect within and without the black community is a matter that should have been undertaken arbitrarily by the black community years ago. Although the alliance's efforts are applauded and great admiration is paid to see someone willing to stand up against the racial indignities, personally, the gravest concern and bewilderment is that such an act even needs to be suggested in the first place. Why is it that a group of people need to have rules, regulations, and laws in place to protect them from themselves? Why have individual African-Americans failed to be accountable to self on a morally-enriched level and demonstrate that they are more than capable of policing self? This time last year, United Voices for a Common Cause (UVCC), which is a black non-profit organization that promotes societal progress and anti-n-word use, at least approached the NBA to turn their attention to and take some sort of intervening action regarding NBA players' open, uninhibited use of the vulgar term. UVCC and any other self-respecting black/African-American knows that there is ABSOLUTELY nothing endearing or accepting about the term; only a mentally enslaved sycophant is going to be fool enough to expend any amount of energy into attempting to transform the term or approve of its use in any light. Hopefully, the Fritz Pollard Alliance's efforts are a sign that the black community is finally willing to stand up and take back its self-respect, dignity, pride and honor from elements in the community who are all too willing to trample on and disgrace the sacred and hallowed memories of their beloved ancestors by using the n-word in any fashion. To consider embracing the n-word as symbolic of the black culture--and especially as a synonym in reference to a black man--is outrageous, contemptible and unacceptable. Several years ago, Damon Wayans applied to trademark the name n**ger so he could use the name for a clothing line. The system magnanimously denied the request in a seeming effort of, once again, saving the black community from itself. Though a minute section of people in the black community were appalled at Damon's request, the majority of the community was unmoved as they generally are when it comes to internal usage of the n-word. Thankfully the trademark was not approved; however, for entertainment purposes, consider the opposite effects of such a trademark: if it were able to be trademarked, it would have potentially limited use of the term at least in mainstream media as before the term could be used, one would have to obtain permission to use it. The systemic realizes that if the word is "seen" less, it may become one of those "out of sight, out of mind" situations; ultimately, this may result in black Americans no longer associating with and living as the n-word, and eventually rising to their true "place" in society. At any rate, the systemic's purpose is to keep black America in its man-made position. The larger question is when will black America realize this plight being played against them, and stop voluntarily falling in line with such a sad affair? Many pro athletes, be it football or basketball, refer to one another as the n-word (n**ga) just as naturally as breathing the Almighty's clean air. It must be pointed out that not all African Americans disrespect themselves by assaulting and ravaging the memories of their ancestors through invoking the anathematized word into their vocabulary; however, far too many either use the term themselves and/or will, nonetheless, tolerate use of it by others in the community and even some outside the community--this is mental weakness unencumbered. 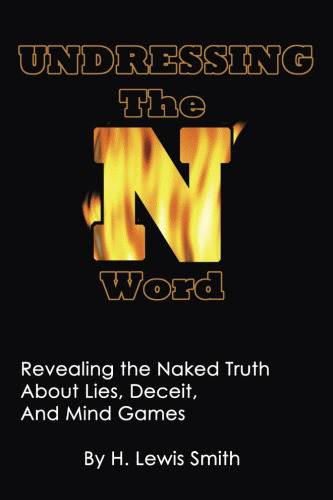 Any attempts of dealing with n-word usage by the black community is always met with a chorus of people believing there are more important, prevalent issues to which the community's attention should be turned. In so many words, these people are saying that use of the n-word by Black African Americans is off limits and untouchable. It matters not if one is an elementary school student, drop-out, college graduate or PhD holder, the sentiments are generally the same; proponents of the n-word say turn a blind eye to the term--or, table or completely disregard any types of effects the terms manifests upon the Black psyche--and do not disturb them and their use of the n-word. They would much rather go through hell wearing gasoline underwear than let go of their 18th century slave mentality use of the n-word (n**ger/n**ga). They simply do not have the mental strength to live without it, and this is the crux of the entire matter: Black America refuses to face up to why the community is so captivated by use of a word that dehumanized and still dehumanizes their enslaved ancestors and selves. From slavery to the present, Black African Americans have undeniably borne an unprecedented amount of suffering and mental abuse. Their insistence upon embracing the n-word (n**ga), and refusal to correct the matter, serves as confirmation that the chains to mental enslavement were never broken. The inability to break the chain and experience true mental liberation--which is available and free for the taking--make Black America its own worst enemy. Thus, to be saved from themselves, actions must be taken by other individuals--whether they are within or outside of the community--to police African Americans; this unfortunate scenario is presently demonstrated with the case of the NFL and The Fritz Pollard Alliance pending proposal. Should there be any red-blooded, self-respecting Black African Americans reading this commentary who are fed up with the asinine use of the n-word and conduct unbecoming that of proud, honorable, dignified people, please share your feelings and concerns with UVCC at Email address removed . UVCC will respond to your inquiries and offer useful insight as to effective actions that can be taken to once and for all cure the Black community of its most deep-rooted and far-reaching problem: the inferior mentality watered by use of the n-word. 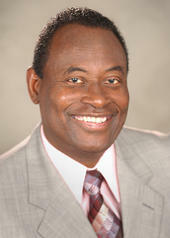 H. Lewis Smith is the Founder/CEO of the United Voices for a Common Cause, Inc. and the author of the book Bury that Sucka, A Scandalous Love Affair With the N-word. UN Treaty on Children's Rights: The Dawning of a Conspiring New World Order?